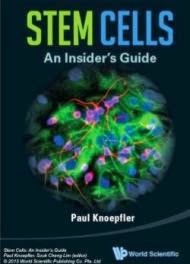 California Stem Cell, (CSC) announced today that the U.S. Food and Drug Administration has approved the company's application to begin a Phase II clinical trial exploring the safety and efficacy of a patient-specific cancer immunotherapy in women with Stage III or IV ovarian, fallopian tube or primary peritoneal cancer. The randomized, double-blind study is the second cancer therapy of CSC, approved for clinical trials by the FDA, bolstering its platform approach to treating late stage solid-tumor cancers. The Company’s patient-specific approach to treating metastatic melanoma, recently approved to begin a Phase III trial, provided sufficient safety data to proceed directly to a Phase II study in ovarian cancer. Led by Chief Medical Officer Robert Dillman, M.D., the study design randomizes an estimated 99 adult female patients to two treatment arms. The treatment group will receive Ovapuldencel-T, which is a combination of autologous dendritic cells loaded with irradiated autologous tumor cells in GM-CSF. Ovapuldencel-T is created by first isolating cancer stem cells from the patient's resected tumor sample, then enriching, inactivating and combining these cells with dendritic cells – or antigen-presenting immune cells – which are harvested from the patient’s blood. The control group will receive the “MC” treatment, harvested from the patient’s blood (autologous peripheral blood mononuclear cells) combined with GM-CSF, granulocyte-macrophage colony-stimulating factor, a white blood cell growth factor. The trial design calls for both groups to receive subcutaneous injections of their respective treatment weekly for three consecutive weeks, then monthly for the following five months. The trial is expected to last approximately sixty months, including enrollment, treatment, and long-term patient follow-up. "We are very pleased with the recent news and what it could mean to women suffering from late stage ovarian cancer, a disease in which very little progress has been made. We are also excited at what this approval represents for our platform cancer program and our potential to pursue similar clinical studies in additional cancer types." said CSC President and CEO Hans Keirstead. The MC treatment is based on findings in recent years that the rapid proliferation and subsequent spreading of cancer throughout a patient’s body may be fueled by a small number of cancer stem cells. Through proprietary processes developed at CSC, researchers have refined their ability to isolate and expand these cancer stem cells to clinically useful numbers, combine them with autologous dendritic cells, and reintroduce them into the patient with the intention of training and bolstering the patient’s immune system to target the cells that have ability to form new tumors.